Lock in a great price for Citotel Hotel Louise de Savoie – rated 8.3 by recent guests! Pleasantly surprised at the comfort of this very inexpensive hotel. Decor was pleasant, bathroom facilities and WiFi worked well, and breakfast was good. Nothing was fancy, but great value for money. Close to train station. We were driving, & on-street parking was free 6:30 PM to 9:30 AM; meter paid parking outside those hours. Reception very nice & helpful with restaurant suggestions, though not at desk before 2:30 PM (we arrived at 2:25; I think one can ring bell to get staff before then). 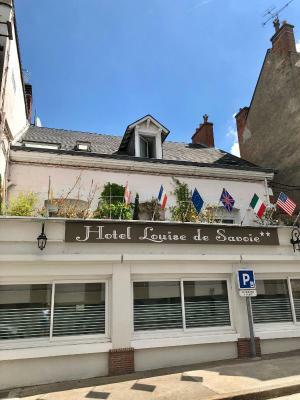 The accommodations were great, but the greatest aspect of our stay was the young couple who ran the hotel— they could NOT have been nicer, more friendly and more helpful. They made our stay perfect. The location was perfect. It was very clean and the small hotel was charming. 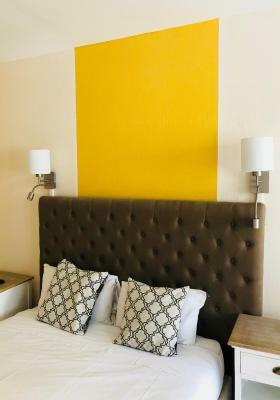 The room was very clean, the staff was helpful and the beds were comfortable. The location was close to the Chateaux and there was street parking for the night. Super quiet, cut room, very nice staff, great breakfast. Perfect for one night. The hotel was very cozy and homely with a great location offering street side parking right at the door steps. Helped that we got in on a Saturday evening meaning free parking for the rest of the weekend! The staff were absolutely delightful! 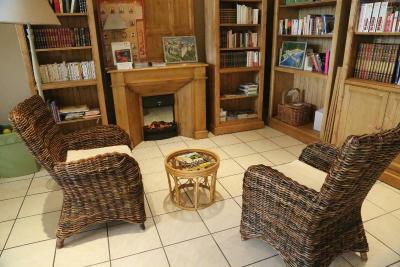 One of the staff, Axel, helped us greatly by offering recommendations of chateaux to visit. He and his colleague (sorry we forgot to catch your name) offered such kind and friendly service to me and my pregnant wife. I was able to get out to shops and the train station. Very close to the train station. 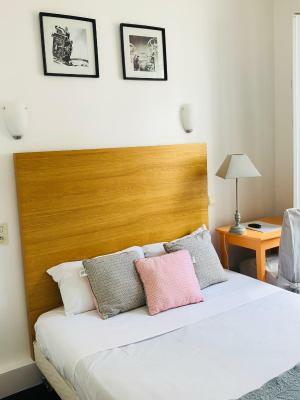 One of our top picks in Blois.Citotel Hotel Louise de Savoie is ideally located on the backs of the Loire River and a 5-minute walk from the Château de Blois. 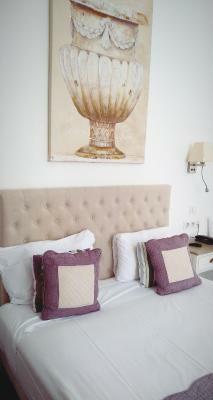 It offers free Wi-Fi access, a bar and individually decorated rooms. All the heated rooms feature a telephone and a flat-screen TV with satellite channels. The private bathroom is complete with a hairdryer. A buffet breakfast, serving pastries, fruit, cheese and cold meats is available every morning at Citotel Hotel Louise de Savoie. Restaurants can be found nearby. The hotel offers free luggage storage and a bicycle shed. This hotel is 9.9 mi from the Château de Chambord and 9.3 mi from the Château de Cheverny. 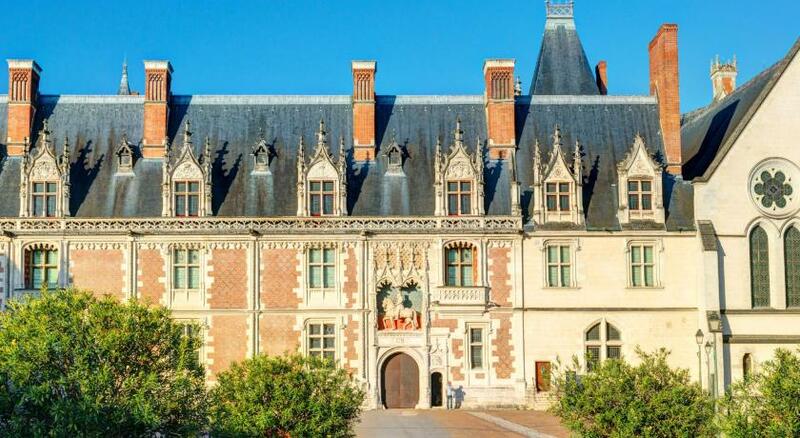 The Château of Chaumont is a 19-minute drive away and Blois Train Station is 450 feet away, next to the train station guests will find shuttle busses which go to the castles. 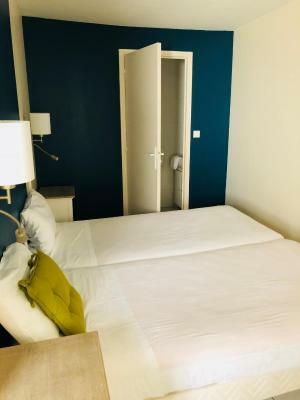 When would you like to stay at Citotel Hotel Louise de Savoie? 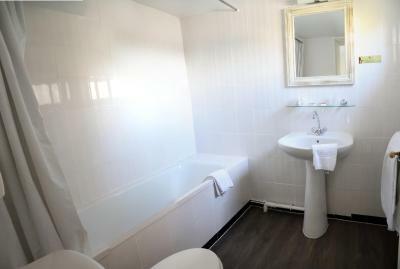 Free Wi-Fi and a flat-screen TV are provided in this room with attached bathroom. 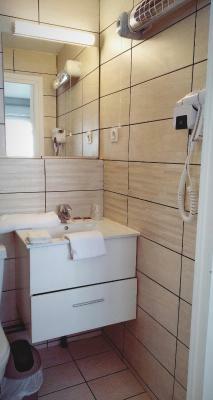 Free WiFi and a flat-screen TV are provided in this room with attached bathroom. 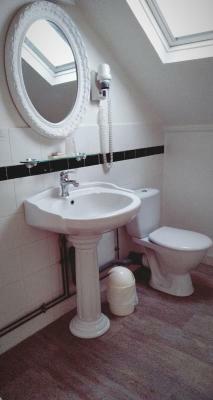 Bathroom and toilets are provided. This room is located in a separate annex building. 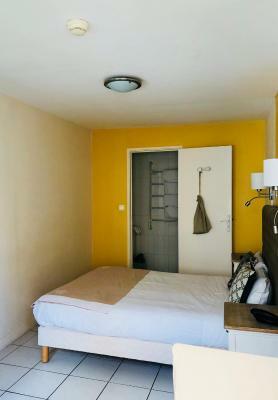 This room features a flat-screen TV with satellite channels and a private bathroom with a bath and a hairdryer. House Rules Citotel Hotel Louise de Savoie takes special requests – add in the next step! 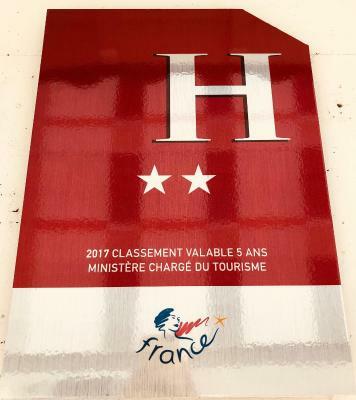 Citotel Hotel Louise de Savoie accepts these cards and reserves the right to temporarily hold an amount prior to arrival. For group of 16 people or more, the bike parking is at a surcharge. Please note that pets weighing more than 6 kg cannot be accommodated in this property. 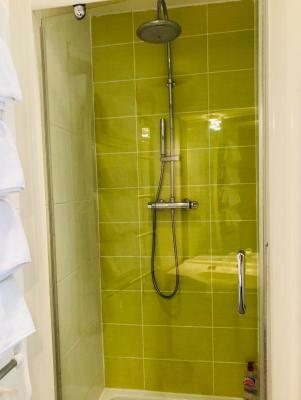 Please note that the Quadruple Room with Shower is located in a separate annex building. - 50% of the total value of the reservation will be requested within 18 days before the date of arrival in case of cancelation of the whole. - 50% of the initial amount canceled will remain due within 18 days before the date of arrival in case of partial cancelation. - full payment will be requested from 76 hours before the check-in date. Any changes that do not result in partial or complete cancelation will be free of charge. Good location. Close to station. The receptionist was the nicest person. A real ambassador to your hotel and the brand. The cycle lock up garage and tools are great. 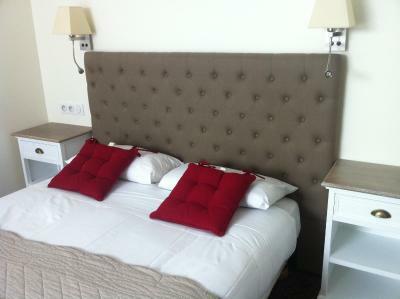 The decor in my room and comfort; location and proximity to the Blois castle and the city centre!!! the lady at the reception desk is very nice. the room is quite clean. Only stayed a night. Parking in the garage - not beside the hotel - is secure but is accessed in a roundabout way. Unusual and takes time. 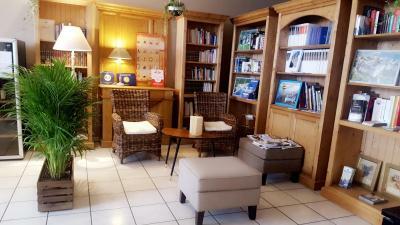 The receptionists were delightful and very welcoming and the room was pleasNtly’french’ in style. 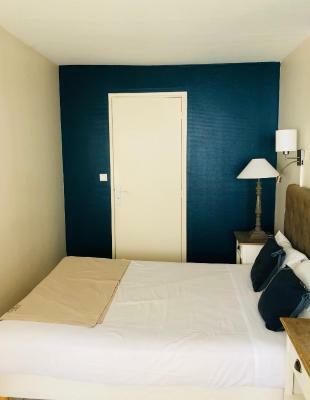 As expected with a quad room for parents with 2 children at this price, not much space to hang or store clothing in room. There were some young men shouting and fighting down the block briefly. In general I was fully satisfied with my choice. The double room in the hotel was quite comfortable. The interior design and furniture were modest but acceptable. The bed was very comfortable. It was pleasant to spend time in the room at the end of a day full of impressions. The breakfast was good at a reasonable price. There is no lift in the hotel, but the stairs are wide. In comparison with other hotels I am ready to say that it was a peculiarity of the hotel but not significant inconvenience. It is acceptable. 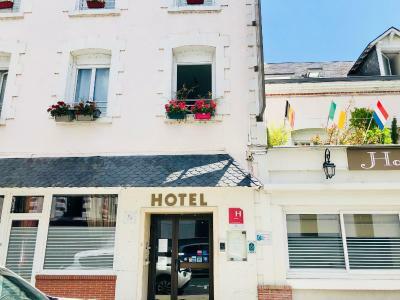 The hotel is ideally situated in the center of Blois within walking distance of Blois Castle, gardens and many restaurants. Parking on the street was readily available. Hotel staff were helpful and very knowledgeable. All major routes were easily accessible from the hotel. No lift, difficult stairs with heavy bags. Small but tidy and clean room. Helpful staff. Stairs and no lift, care required. Shower was a bit tight. Room was comfortable, location is across the road from the gar, main sites are a 300m walk as is the main restaurant area.